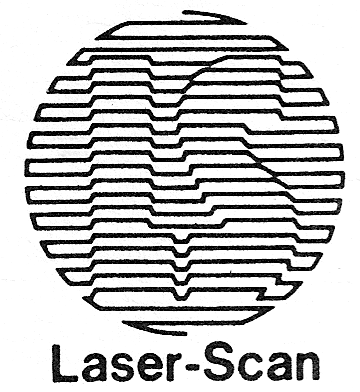 Laser-Scan (LSL) was a British technology company based in Cambridge, England, founded in 1969, which produced world-leading graphics hardware and then advanced software for computer graphics, digital mapping, charting, and geographic information handling. These pages are under construction - more to come! This site is not meant to be an encyclopaedia about Laser-Scan, but a personal snapshot by Paul Hardy of a piece of British computing history. It concentrates on the period between 1975 and 1995, when I was heavily involved in software development at LSL, and during which the main computing platforms were DEC (Digital Equipment) PDP15, PDP-11, VAX and Alpha. I leave it to someone else to document the final stages of Laser-Scan during which was taken over in 2000 by the Yeoman group and collapsed into insolvency in 2003. Suffice it to say that it was not a good end to 28 years of loyalty to what had been a good company to work for. Neither does this site cover the primary company that arose from the ashes of that collapse, which is now called 1Spatial, and continues to provide world-leading software. Contact them for more information on the Gothic and Radius families of software that originated in Laser-Scan. The core knowledge of the graphics hardware business also survives as a services company called Laser-Scan Engineering. They know the details of the Laser-Scan graphics hardware better than me. See my Laser-Scan Company History for a descriptive narrative and a table of significant dates. See Laser-Scan Hardware for a description of the significant hardware products of the company. See Laser-Scan Software for a description of the significant software products of the company. The following articles and newsletters give a flavour of the company during this period. A page of Laser-Scan logos. A page of Laser-Scan photos. A page of Laser-Scan brochures. A page of Maps and other outputs.